At Lewis & Co, it’s fair to say that we’d like to be beach bums…but just as enticing for us is the opportunity to interior design for a beach house. For us, nothing speaks of relaxation quite as much as the sound of smooth summer waves crashing gently on to a sandy shore. If you’re like us then we’re not alone. Over the past few years, we’ve noticed a trend as an increasing number of people are looking to make a move to the coast or to have a second home by the sea. 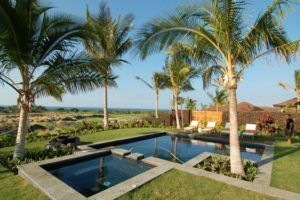 While we have no plans to move…yet…we have been lucky enough to have worked on the interior design of a few beach houses over the years (See one of our projects in Hawaii below). Many interior design considerations are standard – location, usability (e.g. full time? vacations? weekends?) and the importance of practicality versus style. But these basic concepts, coupled with the sand and the sea can give simple inspiration for some fabulous interiors. – Give the views maximum consideration – this should be the basis of everything you do in the beach house. 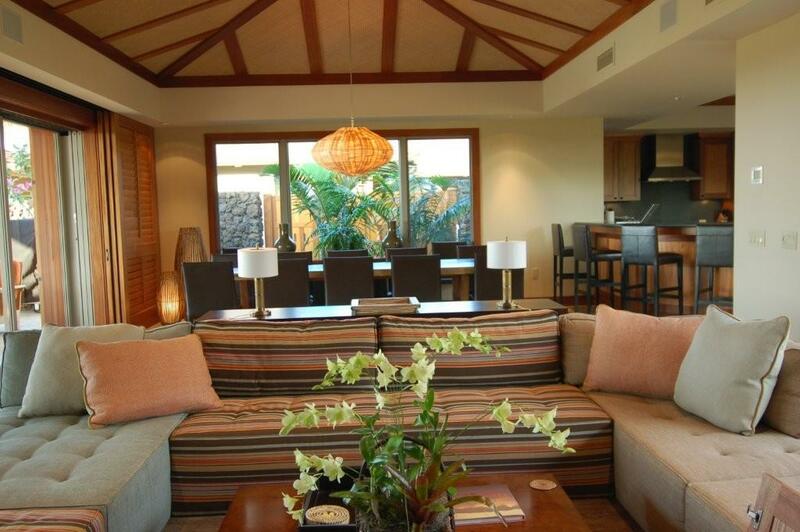 – Keep design functional with natural materials and using durable fabrics. – Embrace texture and vibrant colour. Patterns such as stripes and zig zags are great, especially with soft furnishings and flooring. – Don’t forget outdoor furniture. We work with a number of vendors, providing a good variety for all price points. – Finally, the addition of a log fire can also make your summer beach house a very cosy hideaway in winter as well. Don’t forget to check our online store for current offers to help furnish your beach house or drop us a line at the shop if you have any further enquiries.